This past decade in particular has brought a higher demand for adaptation in law firms than several of the previous decades combined. As firms have become more and more influenced by the needs of their clients, we’ve seen a change in the way they are running their businesses. 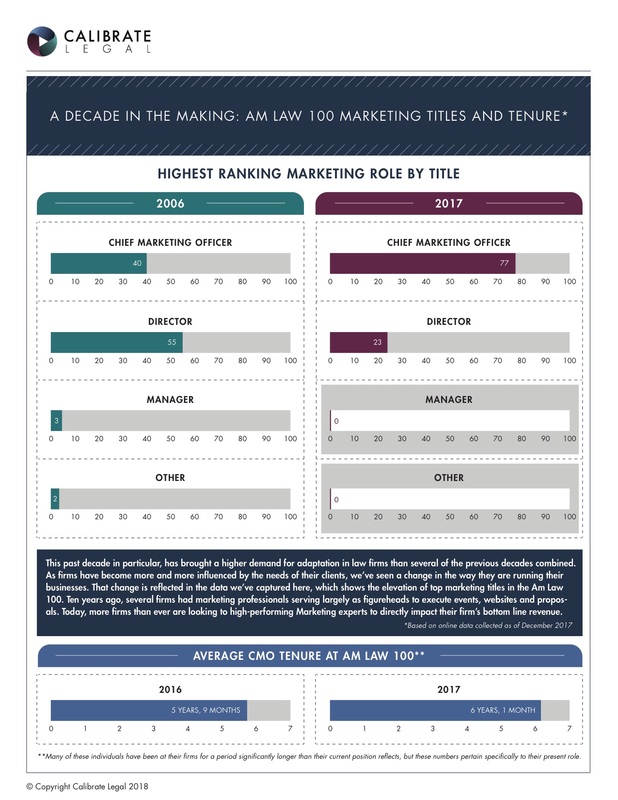 That change is reflected in the data we’ve captured here, which shows the elevation of top marketing titles in the Am Law 100. Ten years ago, several firms had marketing professionals serving largely as figureheads to execute events, websites and proposals. Today, more firms than ever are looking to high-performing Marketing experts to directly impact their firm’s bottom line revenue.